Motion Control - 100 mm Hollow Shaft Rotary Actuator from Intellidrives! Motion Control – 100 mm Hollow Shaft Rotary Actuator from Intellidrives! Philadelphia, PA, — Motion Control Components and Systems – RTGA Series motorized rotation stages provide precision angular positioning accuracy combined with high load capacity. There are three stage sizes with center aperture from 32 mm to 100 mm available, optimizing load capacity, torque, speed and resolution for a variety of operating conditions. Cross-roller bearings allow for offcenter loads in a reduced footprint. The single monolithic design offers improved stiffness without compromising dynamic performance. Precise rotation is ensured by gear/pinion mechanism. 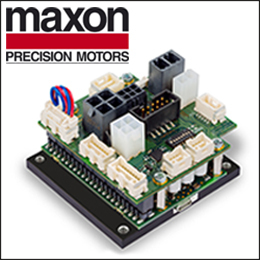 RTGA stages are driven by the open loop stepper motors or closed loop servo-step motor with programmable resolutions to provide sub arc-sec angular resolution.